AMP Capital NZ has a new managing director after incumbent, Grant Hassell, stepped up to a new role in the group. Hassell has been named head of AMP Capital’s $72 billion global fixed income portfolio with his successor as NZ chief, Bevan Graham, to formally take up the job next January. 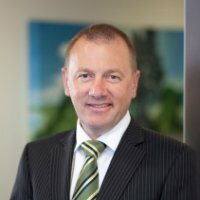 Currently AMP Capital NZ chief economist, Graham, would be granted “additional support… in his expanded role”, Hassell said in a note to clients. Hassell took over as managing director of the now $20 billion plus AMP Capital NZ in 2015 after a long career as local fixed income chief. He replaces former AMP Capital head of global fixed income, Simon Warner, who took up the new role as global head of public markets following a recent restructure. AMP Capital NZ will remain part of the wider ASX-listed AMP group, which recently confirmed plans to offload its NZ distribution businesses via an IPO planned for next year.